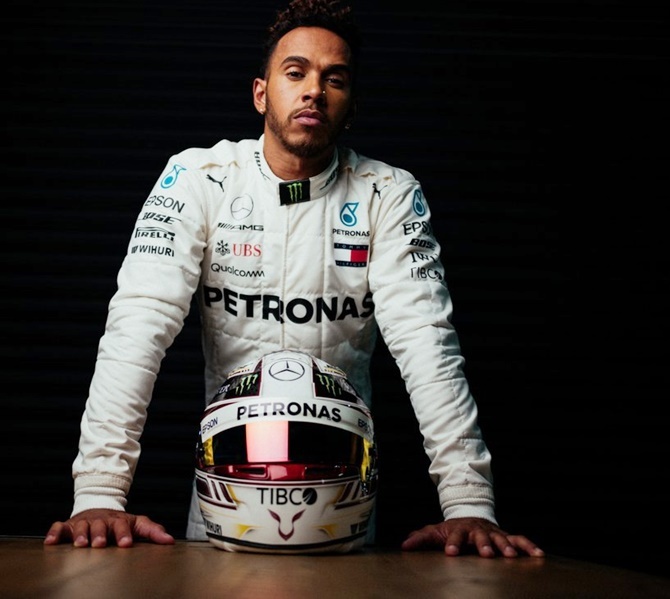 The first installment of what Formula One fans hope will be a genuine season-long tussle kicks off on Sunday as four-times champions Lewis Hamilton and Sebastian Vettel lock horns at the season-opening Australian Grand Prix. This year marks the first that two quadruple champions are competing in the same season and their battle to see who joins Argentine legend Juan Manuel Fangio in second place on the all-time list with five titles promises to light up the series. Michael Schumacher leads the way on seven world titles. Hamilton emerged well on top for Mercedes at the end of 2017 after Ferrari's Vettel made the early running, but their rivalry added plenty of spice, the pair banging wheels on the track in Azerbaijan and exchanging threats off it. Hopes are high for more tense duelling to spark interest in a championship that has generally proved a procession for the Silver Arrows, who have swept the drivers' and constructors championships in each of the past four years. 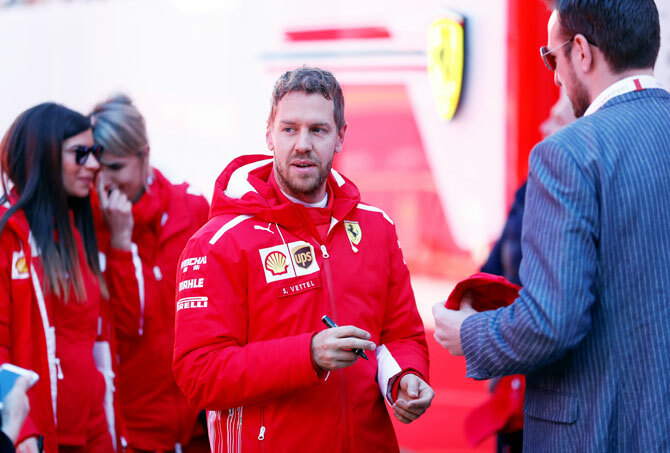 Much will depend on whether Ferrari's SF71H can keep German Vettel within striking distance of Hamilton in his Mercedes W09, which the Briton raved about during pre-season testing. On that score, the jury is out. Lap times at testing can be misleading but there remains a conviction that Mercedes will head into Sunday's race at Albert Park, as always, the team to beat. "We know that Mercedes is a little bit ahead of everyone and is dominating the sport for the last four years," McLaren's twice world champion Fernando Alonso told Reuters on Wednesday. "And they are the big favourites again to start the new season." Mercedes are eager to see what the W09 can do at the lakeside circuit in Melbourne, with technical director James Allison saying it would "blow away" the W08 which garnered 12 race wins in 2017 and a fourth consecutive constructors' title. Hamilton, however, was guarded about their opening weekend prospects, believing Red Bull could be as much a threat to the Silver Arrows as Ferrari. "I think at this time of the year everyone is trying to hype someone else up and we are the perfect target because we are the world champions," the Briton said at a Melbourne event with sponsor Petronas on Wednesday. "From what I understand, I think Red Bull and Ferrari are very close. Potentially we are either level, just behind or maybe just ahead of the Red Bulls as far as I'm aware." 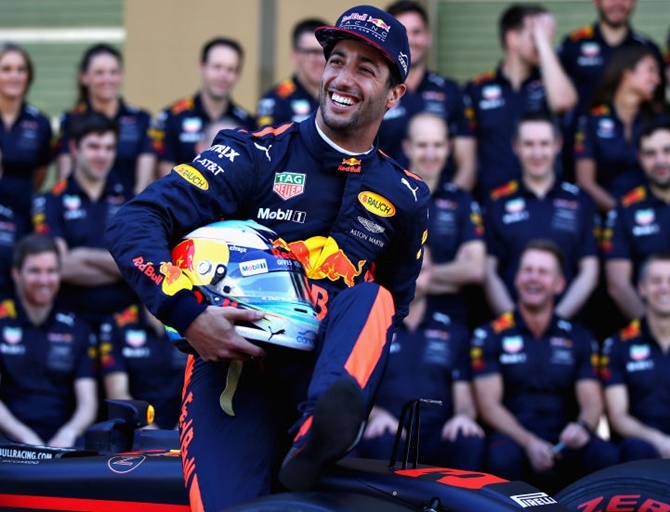 Ferrari have kept a low profile in the lead-up to the race but home hope and Red Bull driver Daniel Ricciardo emerged on Wednesday to express hope for a "statement" performance. "Every year, the team works hard to build a fast car but, come testing, we've never really had much to show for it," the Australian told reporters. "This year, we obviously had a bit more so, from a team perspective, we're feeling much more prepared." There will be fingers crossed in the McLaren garage as Alonso and Stoffel Vandoorne put the new Renault-powered car through its paces, the once formidable outfit having split with Honda after three miserable years. Albert Park will see a number of debuts, with Formula Two's Monegasque champion Charles Leclerc and Russian Sergey Sirotkin having their first races for Sauber and Williams respectively. The much-maligned halo, a cockpit head protection system, will also make its race debut along with 'Grid Kids', aspiring young drivers who have replaced the female models who paraded on track in seasons past.